Your trust is a privilege and a responsibility that is our first priority, every day. Finovera employs leading-edge technologies, standards, and business practices to protect your data. Our security measures are designed specifically to protect you and your accounts regardless of how you access us—on a PC or on a mobile device. We want your access to be secure as well as convenient. 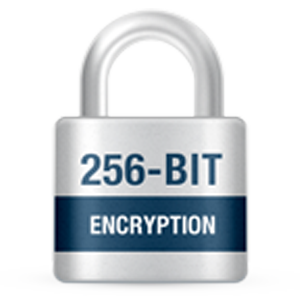 Finovera uses the same 256 bit SSL encryption used by leading financial institutions. 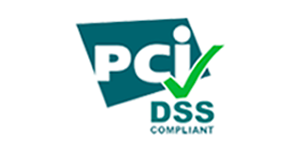 We adhere to the Payment Card Industry (PCI) standard, which is the credit card industry standard that any business that processes or handles credit cards is required to meet. Finovera is continuously monitored and verified by GeoTrust, a leading web security company. No one can move or withdraw your funds, or make changes to bills and statements. We constantly monitor Finovera for suspicious behavior and will immediately send you an alert if we suspect any suspicious activity. Finovera employs GeoTrust certificates for this service, and is recognized as a GeoTrust Secure Site. Password and account data are stored and transmitted in encrypted format at all times. We use a combination of firewall barriers, encryption techniques and authentication procedures, among others, to maintain the security. Network-based IDS (intrusion detection system) provides 24×7 network monitoring and alerts to security personnel of any external attacks on the network. Our servers are hosted in a physically secure facility. Access to servers requires multiple levels of authentication, including biometrics recognition procedures. Our security infrastructure is regularly audited and inspected by industry-leading third party auditors and security experts. All Finovera employees go through a rigorous background checks before they are hired. Our employees receive training on our security policies and are held accountable for adhering to them. Employees who work directly with customers also receive training on emerging risks, such as identity theft. “Bank–level” security means we adhere to the same security encryption standards as your bank. We routinely run security audits to ensure we meet these standards at all times. On top of internal audits, our security is validated by GeoTrust – the leading online internet security firm. Why does Finovera need my account login information (username and password)? We need your online user names and passwords so that we can help you organize and manage all your accounts on Finovera without the need to remember multiple passwords. We use this information to establish a secure connection with your providers and download your statements on your behalf, securely and automatically. How can I protect my Finovera account? Don’t share your Finovera password with anyone. Make sure that your password is unique and hard to replicate, including numbers, special characters and capital letters. Install the latest virus protection and a firewall on any computer you use to access Finovera. Can Finovera employees view my bank account numbers or credit card numbers? All your accounts information is stored securely in encrypted form on Finovera servers that only selected authorized employee have access to in accordance with specified procedures and safeguards governing access. Your information may be seen by technical personnel in order to develop, operate and improve the Service only on as needed basis.